As global networks evolve, traditional assessment methods present many challenges for security teams such as scanning windows, managing credentials, and the rise of cloud environments. Learn more about the next phase of security assessment and how Qualys Cloud Agent instantly turns on full access to the power of Qualys vulnerability management and policy compliance. 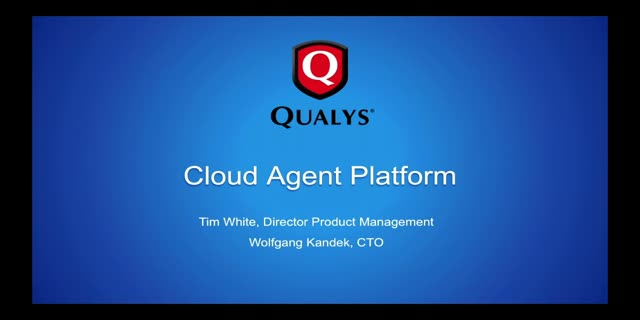 See how to extend the power of the Qualys Cloud Platform anywhere in the world and on any host including laptops, desktops, servers or virtual machines.